Dorothy Price, West Scranton, passed away Sunday afternoon in the Allied Services Skilled Nursing Center after an illness. She was the widow of Llewellyn J. Price, Jr. who died in 1995. 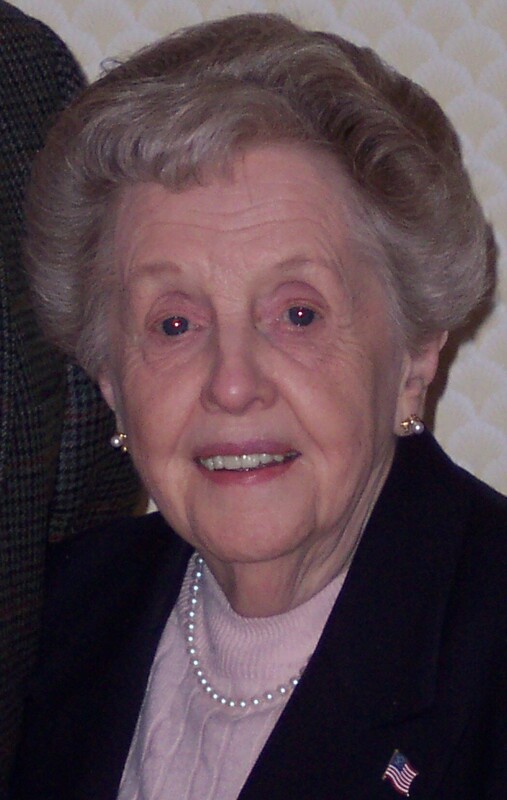 Born in Scranton, she was the daughter of the late Thomas and Eleanor Bowser Jones. She was a graduate of the Scranton Central High School and attended the Lackawanna Business School. She was a devoted member of the Trinity Congregational Church and the Trinity Sunday school class. Dorothy also volunteered as a reader for the Lackawanna County Association for the Blind. Early in her professional career Dorothy worked for Grove Textiles and the Hudson Coal Company and later served as the executive secretary to Dr. John Sanner both in his private practice and in his roll as Medical Director at the Community Medical Center. The family would like to give their sincere thanks to the staff of the Telespond Senior Services especially Samuela McVicar and to the great staff at the Allied Skilled Nursing Facility for the wonderful care given to Dorothy during her stay with them. Surviving are her son David J. Price and his wife Lauren of Clarks Summit; a sister in law Millie Babcock of S. Abington Twp; nieces and nephews. She was also preceded in death by her brother Warren T. Jones. Funeral services will be held Saturday at 10 am in the Trinity Congregational Church 229 S. Main Ave. Scranton officiated by Rev’s John Collins and Jeremy Mullen. Friends may call Friday from 4-7pm in the Vanston and James Funeral Home 1401 Ash St. Scranton and Saturday morning from 9am until time of the service at the church. Memorial contributions may be made to the Trinity Congregational Church Endowment Fund 229 S. Main Ave. Scranton, PA 18504. Thinking of you at this difficult time. My sincere sympathy on your loss. I am so sorry for your loss Dave and Lauren. You’re in my thoughts and prayers during this difficult time. David and Lauren, so sorry for your loss. My mom and your mom had so many conversations. Your mom was a very sweet woman. Dave and Lauren, I am so sorry for the loss of your mom. You are in my thoughts and prayer.